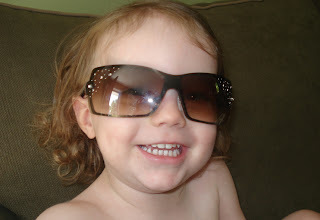 Michaela LOVES to wear Mommy's sunglasses. Michaela you are so pretty....just like your Mommy....with or without sunglasses! Michaela, you are a superstar!!!!!! !